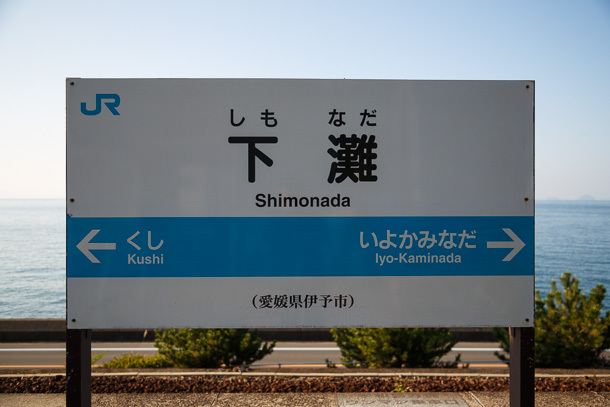 My last anime tourism stop on a loop around Shikoku was Shimonada Station (下灘駅) in Iyo, Ehime Prefecture. This post is a quick look at a scene from the opening credits of Nekomonogatari (Kuro)—猫物語 (黒). 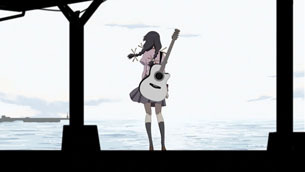 The Monogatari series, of which it is a part, makes extensive use of real places. 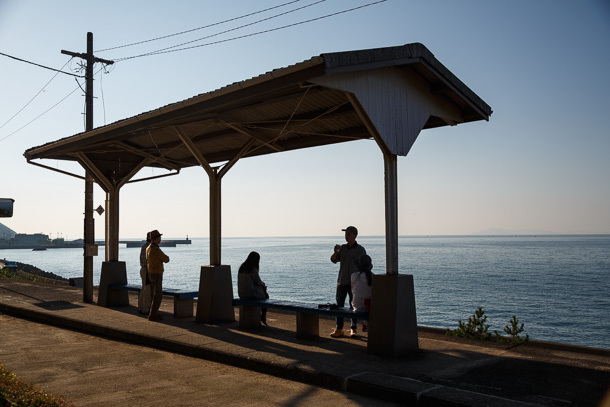 There are frequently recurring locations from western parts of Tokyo, but there are also random scenes drawn from all corners of the country. Many of these occur only once among the multiple seasons. At times, it seems as if the series is challenging viewers, as if to say, “Here, see if you can find this.” I also came to Shimonada for the Kyōkai no Kanata OVA episode, which explores the setting more thoroughly, however appearances in Nekomonogatari (Kuro) and Cookin’ Idol Ai! Mai! Main! precede it. 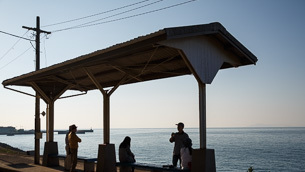 Shimonada Station is a well-known tourist site in its own right, for its unobstructed view of the Seto Inland Sea. I visited on 2017 October 26 and referred to butaitanbou articles by @lidges (post) and @SSEBTBM883 (post) for details about the location. 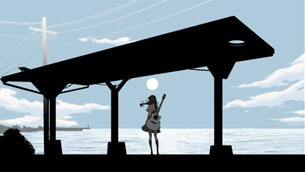 Shimonada Station is just one zoom shot in the opening credits sequence. Sakura Front Anime Pilgrimage 2018 Pilgrimage to Shimonada Station for Kyokai no Kanata Pilgrimage to Oboke Station for Kyokai no Kanata Pilgrimage to Tokyo for Kimi no Na wa.